Groundhog Day: Will this Winter Ever End? This 1993 classic film continues to inspire moments of insight and rejuvenation around our own lives. Groundhog Day is a holiday based on using a groundhog’s shadow as the weather forecast. 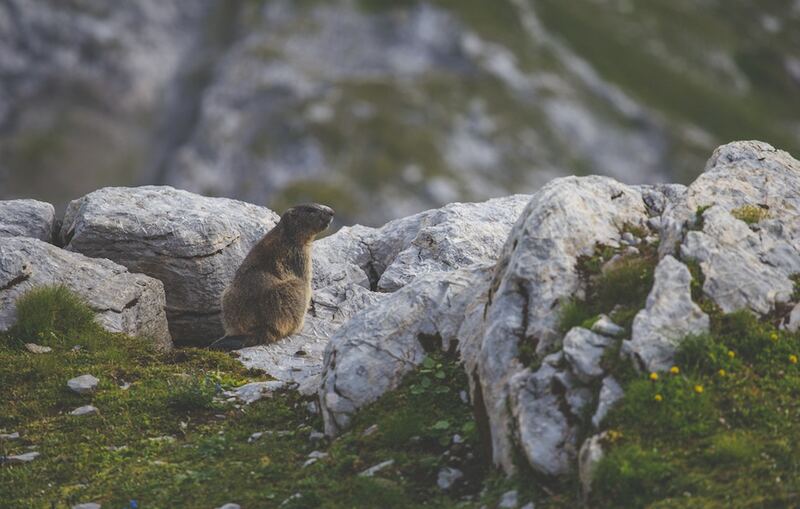 Originating as a Pennsylvania Dutch superstition, it was believed that if the groundhog’s shadow was visible on February 2nd, it meant there would still be six weeks left of winter. With the holiday being a purely symbolic gesture for most people at this point,Groundhog Day is more commonly thought of now as being the title to the movie starring Bill Murray and Andie MacDowell. If you haven’t seen this 1993 film, stop reading now and go watch it. It’s fantastic. In the film, Bill Murray’s character, Phil, finds himself stuck in a loop, reliving the same day over and over and over. Not only does Phil wake up every morning to the exact same day, he’s repeating a seemingly monotonous day where he is stranded in a small town due to a blizzard that blocks all of the roads. Once Phil realizes that no matter what he does, he will wake up on the morning of February 2ndagain the next day, he decides to begin living out fantasies that would normally result in repercussions. These include stealing bags of cash from a bank truck, buying a fancy car, and having multiple one-night stands. There’s also an amusing love interest that we won’t get into in this blog. But as the days continue and the excitement fades… Phil then begins to feel the hopelessness that many can experience when stuck in a loop without end in sight. As you watch, you begin to wonder along with Phil, What’s the point of life without a purpose? Without repercussions is there any lasting meaning?Eventually, a shift occurs, an insight is gained. Phil realizes that although he is stuck in the same set of circumstances every day, he can make the choice to not be a victim to this. He decides to take charge of his day by learning a musical instrument, forming connections and relationships with those around him, becoming the “life of the party”, and ultimately choosing to be a genuinely happier and purpose-filled person. At some point in our lives, we can all relate to Phil.It’s easy to feel stuck in a loop once the nostalgia or spirit of an experience wears off. For students it’s known as Senioritis. For those with jobs that are nine to five, it’s a week full of the Case of the Mondays. The very thing that we strived for and were excited about in our lives becomes a trivial day-to-day task and it just loses its luster. Many of us begin to feel stuck and maybe even hopeless that life could have more to offer beyond the same wake up, go to work, come home, go to sleep, and repeat. But there are important potential steps we can take to prevent this pattern or—if you’re already there—to adjust to it. For starters, remind yourself why you had originally started what you’re doing. If you’re a student, what passion drove you into your field? If you have a job, what about that job had you interested when you applied? If you’re in a relationship, what about that person drew your interest for the first date? Answering these questions will help reestablish why you chose what you’re doing now.If you no longer feel the same way about these things as you did when you first started, start askingwhat could make you passionate again?This is a harder question because you may now need to decide whether you should continue down the same path or whether it is time to change gears and find something different. If you decide you’re still interested in your education, job, or relationship, then it comes down to perspective. Phil made the choice that if he was going to spend eternity living out February 2ndin Punxsutawney, Pennsylvania, he could either remain passionless and miserable or strive every morning to be cheerful and surround himself with things that brought him meaningful joy.Of course, that was a movie and not real life. That is to say, it’s not going to be as easy to wake up with cheer and luster for life every single day. But if you can wake up and focus on at least one aspect to your life that fills you with meaning and purpose, chances are that the task at hand will be far more enjoyable and more importantly, involve an opportunity to do something a little different and new around it every single day. In other words, “if there’s no tomorrow,” as Phil once suggested, our choice then becomes about today—winter or no winter, what will you make of yours? I’m Joshua Goldstein, Psy.D., one of the therapists you could see at Wright Institute Los Angeles where we offer Affordable Therapy for Everyday People! Joshua received his doctorate from The Chicago School of Professional Psychology, Los Angeles. He has previously trained at Maple Counseling Center and The Chicago School Counseling Center, working with adults and college aged individuals. He believes that the therapeutic relationship between therapist and patient plays an important role in the treatment and works primarily from an object-relations perspective.